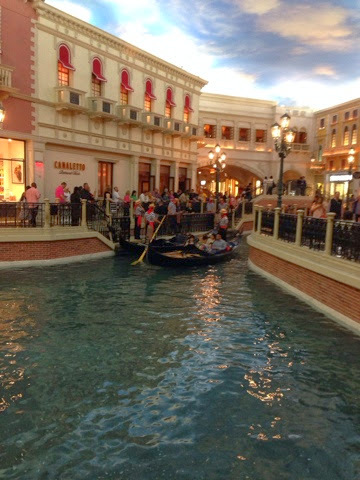 Our trip from Loughlin to Las Vegas was just over an hour. 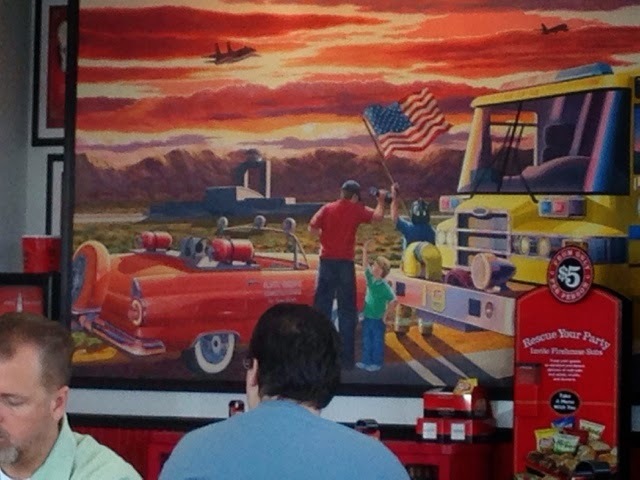 That means we didn't have to get up early to travel to our new destination like we will on Wednesday when we drive the long trip to the Grand Canyon. 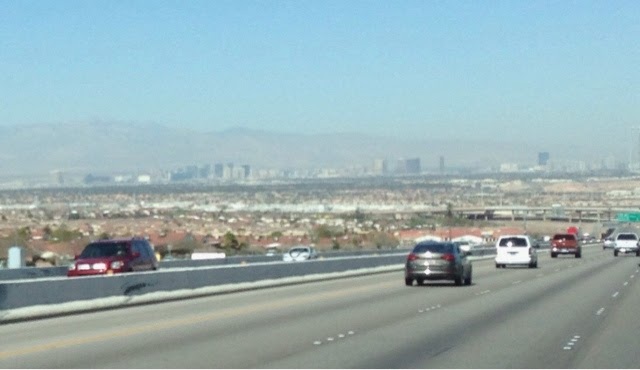 Here is the view of the Las Vegas skyline coming in to the city. 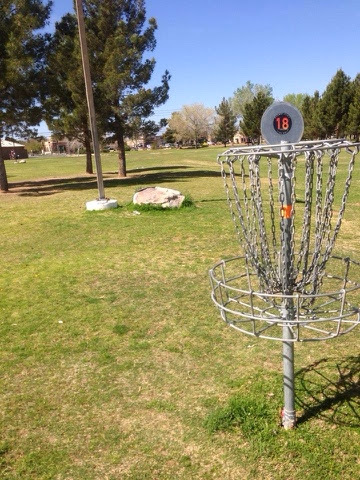 Arriving in the morning meant we had time to play disc golf before afternoon check-in. 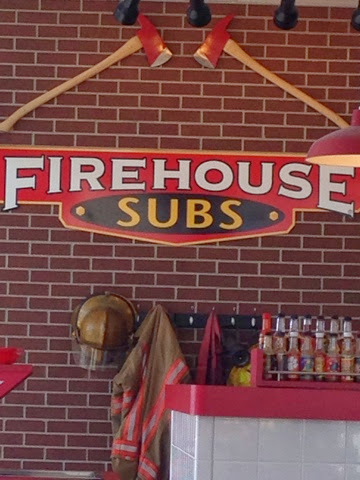 Here Brianna took this excellent photo of what the course looks like..
We had lunch at Firehouse Subs near the Disc Golf Course. 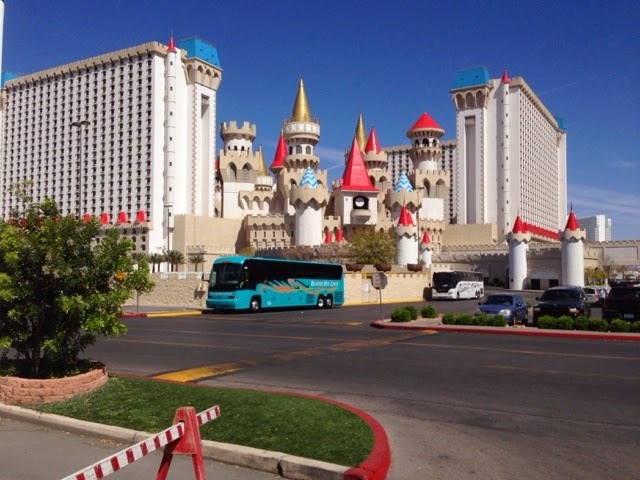 A short drive over to our hotel at the Excalibur on the south strip. After Brianna got some pool time we headed out to walk our way all the way up to Treasure Island where we crossed the strip and walked down the other side. 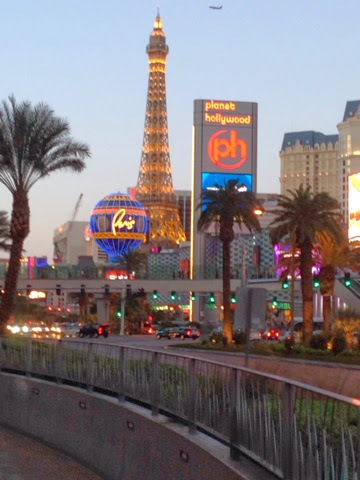 A view of the Parisian as we made our way up the strip stopping in the popular casinos along the way. 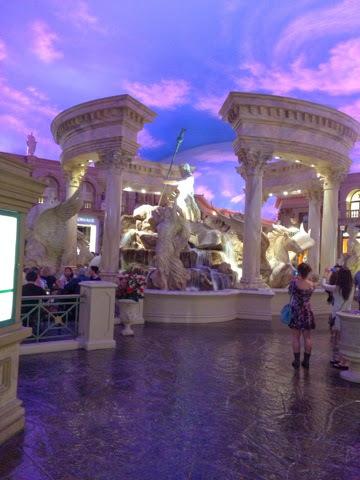 Caesars shops is always a great place to walk around. 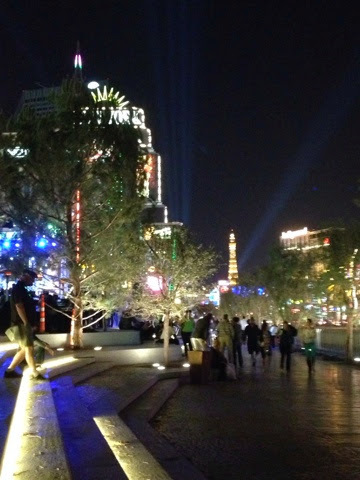 We made our way back to the front of New York, New York where they had a live band street side at the replica of the Brooklyn Bridge where we got to watch and listen to the live show. 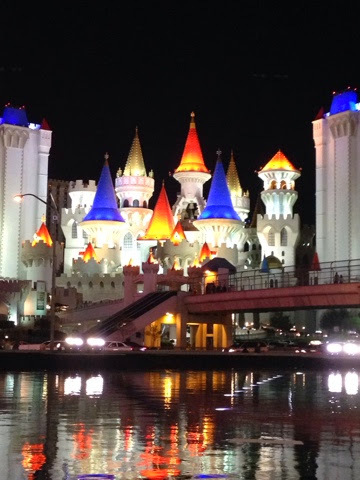 Later we made our way back to our hotel at the colorful Excalibur. 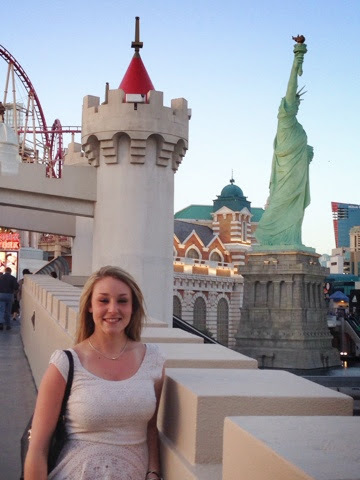 Tomorrow we have more adventures along the strip.